The First World Congress on preventive healthcare in Houston, Texas has drawn a conclusion based on statistical evidence for South Asians being more prone to heart attacks, and diabetes in the US. The study is compared directly to other ethnic groups in the country, with an established fact that one American dies every 40 seconds in the US from cardiovascular diseases. Skewing the health disaster is the fact that a disproportionate burden of this risk is seen in the 3.4 million South Asians who live in the US. 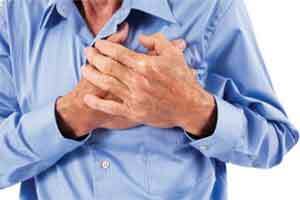 More alarmingly, the risks for heart attacks and cardiovascular death can be up to five times higher for South Asians. Aimed at creating global awareness about preventive healthcare, the three-day Congress held July 10-12 was part of the North American Bengali Conference (NABC) 2015, organized by Tagore Society of Houston (as reported by IANS). In reference to the conclusive study for diabetes, in 2012, 29.1 million Americans, or 9.3 percent of the population, had diabetes and 13 percent of Asian Indians had diabetes. The projected number of diabetes cases is 366 million in 2030.The total costs of diagnosed diabetes in the US in 2012 were $245 billion.